Happy Sunday friends! This past week has been pretty relaxing as far as school work goes! But good things don’t last. You can find me drowning in school work this week! Here’s a recap of this past week! Sunday was spent in bed pretty much all day until Chapter. I was still really sick with a fever and just was not in the mood/able to do anything. Monday was a day spent doing some work with an accidental nap or two taken. I needed sleep, apparently. I have no pictures from these two days because 1) I was not doing anything and 2) I was gross. I also finished season 6 of the Vampire Diaries that night and let me just say I CRIED a lot. Tuesday I went to my first three classes and then to lunch with Brenna. It was the first time I left the apartment for more than an hour since the Friday before so it was weird being out in the world. My last class of the day was cancelled so I went back to my apartment and relaxed a bit. Also, my friend Felicia made this wedding invitation for me! It so funny and I love it! Aaaaaannnnddd of course I watched It’s the Great Pumpkin, Charlie Brown! If you know me you know I’m obsessed with the Peanuts so I was really excited to watch it! Love it so much. Wednesday was a very productive day for me. I got a lot of readings done, started outlining an essay, cleaned the apartment, studied and did lots of work. It felt great to get stuff done! Then a few of my sorority sisters and I went to a Her Campus Pretty in Pink event! A few of the sisters put on the event and it was really fun with good food and good cookies all with Fenway Park right in our view! Ahhhh Thursday… I had a midterm on Thursday and that was pretty much it. I took a nice short nap, Brenna came back from class with Chipotle for both of us and it was delicious. 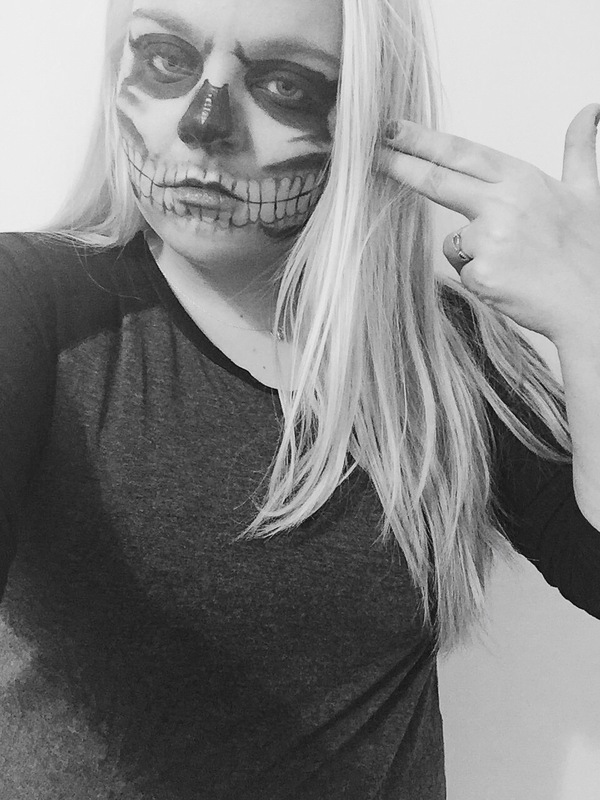 I then practiced some Halloween makeup and did this skull look loosely based off of Tate from AHS season 1! I didn’t have white face paint though… and then I spent the night catching up on Girl Meets World. (Yes I know it’s on Disney Channel, yes I know it’s for children but I don’t care. Brings me back to the Boy Meets World days and I love it). Friday I worked on a paper in the morning! After I had a sapphire date with two of my sisters! (A sapphire date is where two sisters go do something with a new member to get to know them better before they are initiated!) We went to The Thinking Cup and had some great conversation. Then Brenna and I went to Primark (WHICH IS AMAZING) and TJ Maxx! I needed a fall jacket because it’s not cold enough to wear my winter jacket but not warm enough for my light denim jacket. Then I got sucked in to buying a blanket scarf and this hat. It was only 5 dollars so I obviously had to get it! 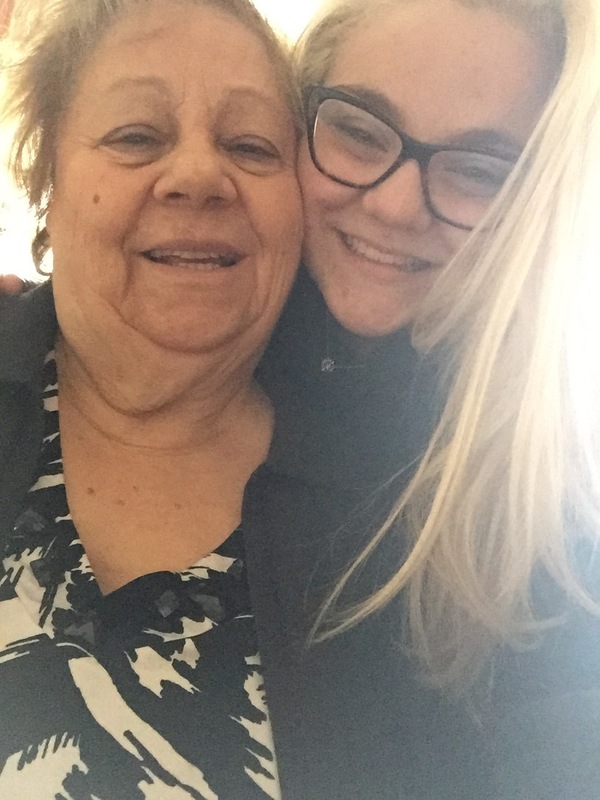 I went home and surprised my mom! It was so funny to see her face when I walked into her room! 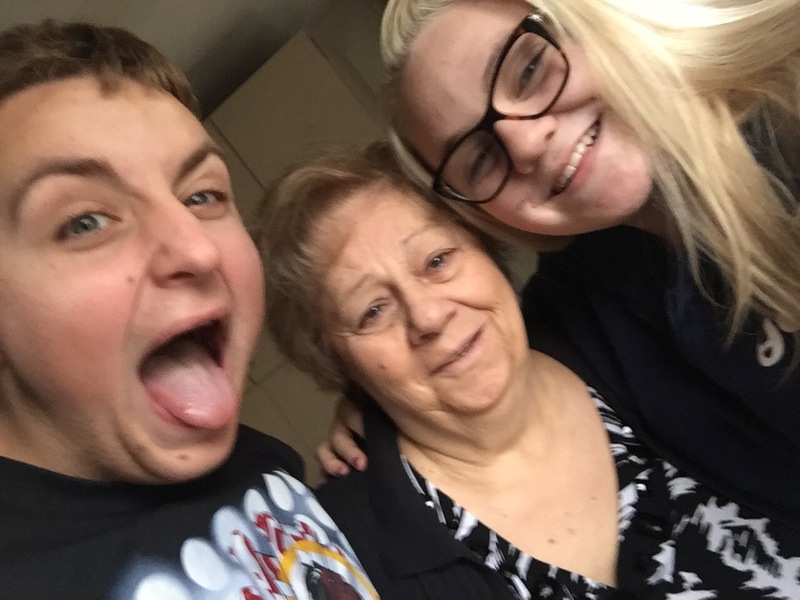 Devin and I went to Target and hung out with Nonna for a little. 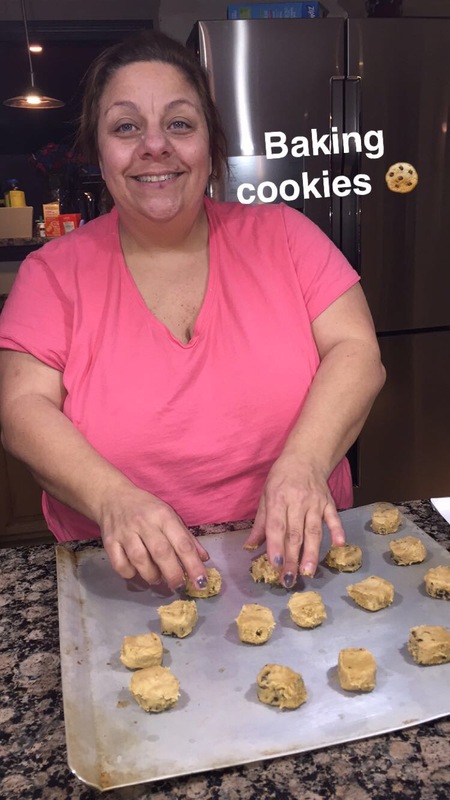 My mom cooked dinner and baked some cookies. I did laundry and packed my winter pajamas to bring to school. I hung with Toby and Murr while they cuddled with me and just overall had a good day. It was great to be home!